The team behind the Sailor Moon anime was definitely not shy about throwing in references to themselves or other people involved in the show, which provides for a fun little “cat and mouse” type of game as you watch through the anime. Whenever you see a non-character name written in the background, it’s a fairly safe bet that it’s related to someone connected with the show. Today, I’m going to talk about one such instance, and you’re invited along for the ride! The scene we’re talking about today is from the first episode of Sailor Moon S (episode 90 of the series). 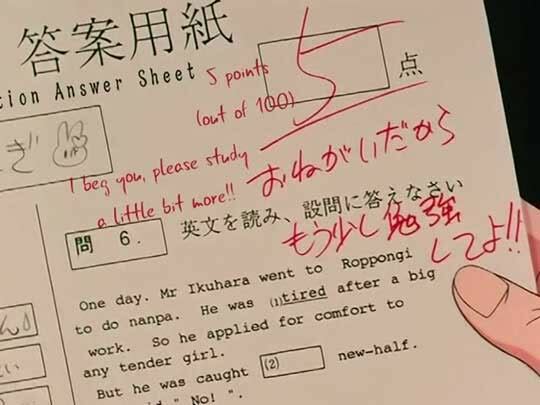 Early in the episode, we learn that Usagi — to the surprise of absolutely no one — did not do well on her English test. Okay, “not well” is probably a bit too charitable. 5/100 is a pretty atrocious score, even by Usagi standards. But hey, this isn’t really a surprise for anyone. I mean, even Ikuko has to get tired of yelling at Usagi about her grades at some point, right? Clearly it’s not working. So! Why am I rambling about this stupid test? Well, because despite it being a quick gag flashed on the screen for only a second, what’s written on the page is actually pretty interesting. Before we start, though, I wanna say good on ya, Ms. Sakurada, for taking the time to write to your students in English. In fact, the English and Japanese even match up. Nice touch! As a fun note, on the left side of the paper there are two questions to write the Japanese equivalent of English words, to which Usagi answers “I have no idea” (分かりません) and “I’m sorry!” (ごめんなさい！). The first one was “bubble.” I bet Ami got that one! Anyway, we can see Question 6 here, where Usagi is supposed to provide the Japanese word for (1) and fill in the blank for (2). The significance of all this is that it makes out for a pretty hilarious story about what can only be a reference to Director Kunihiko Ikuhara,1 and something I’m pretty sure he wouldn’t readily sign off on if he knew about it. One day. Mr. Ikuhara went to Roppongi to do nanpa. He was (1) tired after a big work. So he applied for comfort to any tender girl. But he was caught (2) ______ new-half. It looks like they threw a bunch of Japanese slang in here, so let’s explain. Nanpa (often written as nampa) means to hit on someone, and is sometimes referred to as “girl hunting” — as if that isn’t creepy.2 Though it could be directed at a specific individual (like hitting on a woman at a bar), it often has a connotation of standing around in busy areas and hitting on women as they come past, asking for a date, etc. So Mr. Ikuhara, is exhausted after a long day of work and goes off to look for a charming woman, any woman, to help ease his heavy heart. In case you’re curious what this “apply for comfort” is all about — get your head out of the gutter. Odds are, the author meant 癒しを求める (iyashi wo motomeru), or to seek comfort in. When you translate a lot, you need to get good at backwards translating bad English to Japanese and then back to English. Alas, our hapless hero finds out that the young woman receptive to his advances is actually a new-half,3 a Japanese word for men who portray themselves as women. Transsexual would probably be the closest corresponding word in the west, but the nuance and culture is a little bit different. How this situation ends is left up to the viewer to imagine, but the last thing we can see on the page is “No!”, so I’m not holding out hope that it ended well. Anyway! I guess this quick flash on the screen may not be of too much interest to many of you out there, but I live for this kind of stuff. As a young child, I remember watching to the end of every Tiny Toons and Animaniacs episode just to spot the gag credits4 they inserted. I know opinions of Director Ikuhara are pretty across the board, from adoration to absolutely hating the guy, but unfortunately I don’t really feel strongly one way or another. But what about you? Do you think he built up on Ms. Takeuchi’s vision, or did he hamper its progress? 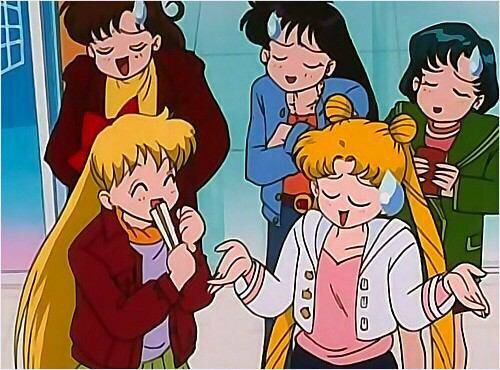 ← Why Does Usagi’s Blood Type Matter? 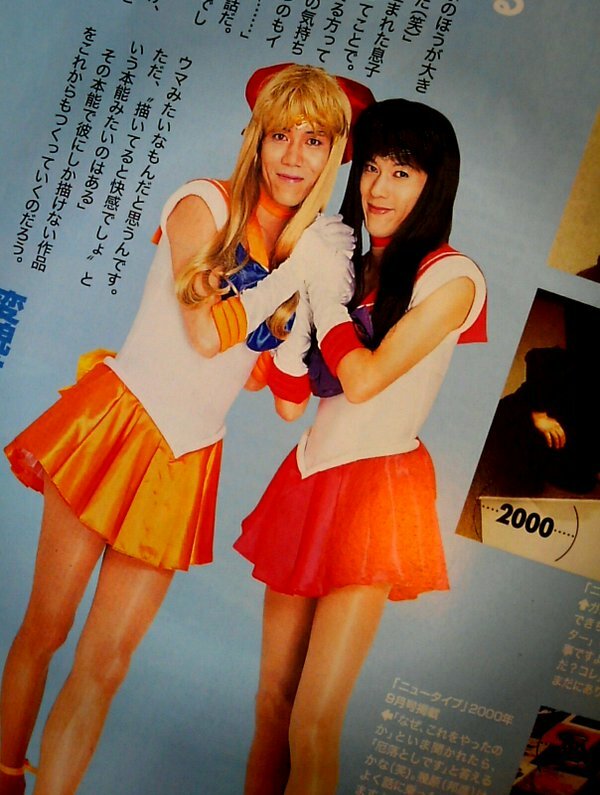 I’m not generally a fan of most of Ikuhara’s work, but Sailor Moon is the exception. I think what he did on Sailor Moon is pure genius, and one of the reasons I despise the new Crystal series is that it almost completely abandons his deft and humorous touch. Even if his newer works aren’t to my taste, with Sailor Moon, he more than proved he had the immense talent to do things “traditionally.” If he wants to move in another creative direction, after Sailor Moon, he’s more than earned it in my book. I think that’s a good way to look at it. 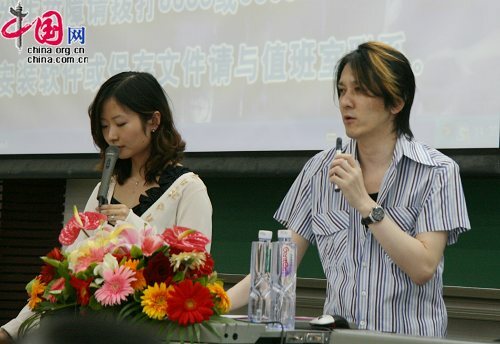 I’m pretty on the fence about Ikuhara in general — he’s done some REALLY amazing work, and said some REALLY dumb things — but regardless of how you feel about him, he’s definitely done good work in the industry. I’m personally in the camp that adores Ikuhara. I’ve enjoyed everything he’s done, with his work on Sailor Moon and Utena being my absolute favorites. I feel he built upon Naoko’s work more than hampering it, with most of my favorite episodes and my favorite season being done by him. SuperS is the one exception, but that was more due to outside factors than he himself. And I still thought SuperS had some good parts personally, like the Trio’s redemption and Nehelenia. Ahh, the infamous cosplay picture I’ve seen lurking about. Ikuhara did seem to have something of an obsession with Rei, given the part he played in her characterization. Personally speaking, while I have nothing against him, I felt Junichi Sato was overall a better Director. I don’t really think he gets enough credit compared to his successor. I enjoyed his work on Princess Tutu. Second you on that. Maybe it’s unfair for me to say this given my limited sampling of his work, but it seems like Ikuhara is an ambitious director who prefers big concepts to subtler stuff like characterization. As soon as Junichi Sato split the characters were broader, more comedic, and slightly less believable as vulnerable teenagers. Still enjoyable, in my opinion, but if you dwell on it, you start to notice things. Like for example, Chibiusa… I wonder whether Sato would have used a lighter hand when it came to the friction between her and future mom. Under the Ikuhara team, she’s so brassy that her moments of gentleness always felt weird to me. Wow. So many easter eggs! Can you explain what the difference is between new-half and transsexual? I read the wiki definition you provided but I’m curious as to what the cultural differences are that you mentioned. It’s a bit long to go into the nuances in the form of a comment, but there are a few good English resources for reading up on it. In some literature, there’s even some discussion of it being considered a type of “third gender” in Japan, though I’m not sure I’d go that far. It’s, for better or worse, not taken all that seriously by many here.